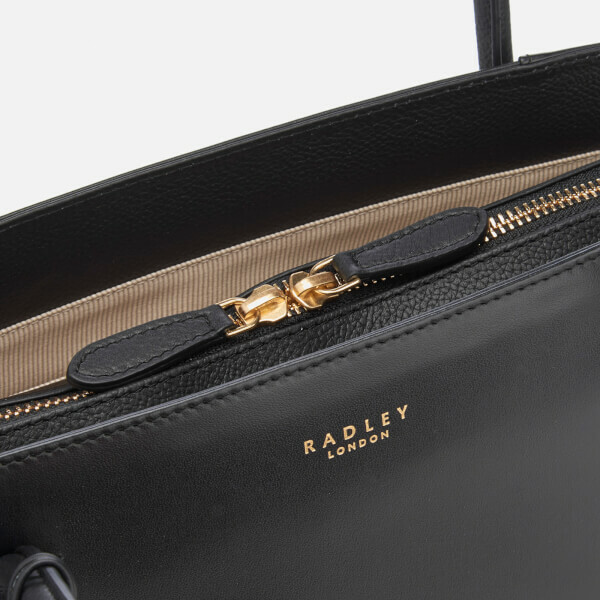 Women’s black leather tote bag from established accessories label Radley. 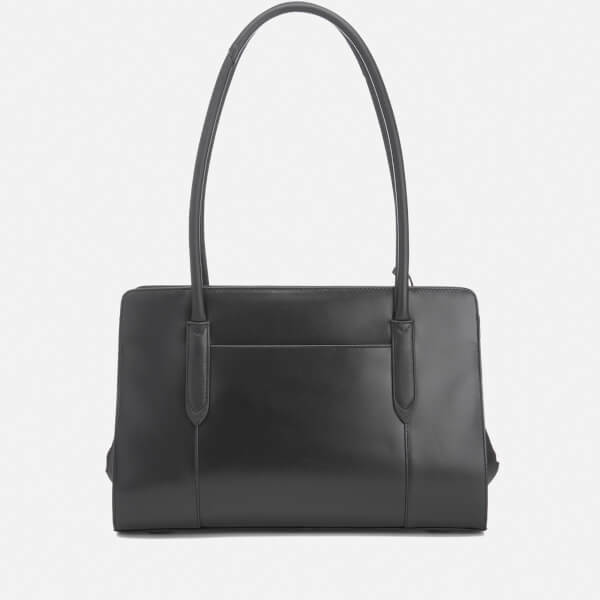 Crafted from premium Statute leather, the ‘Liverpool Street’ handbag is named after the bustling business district in the centre of London and forms a classic structure. 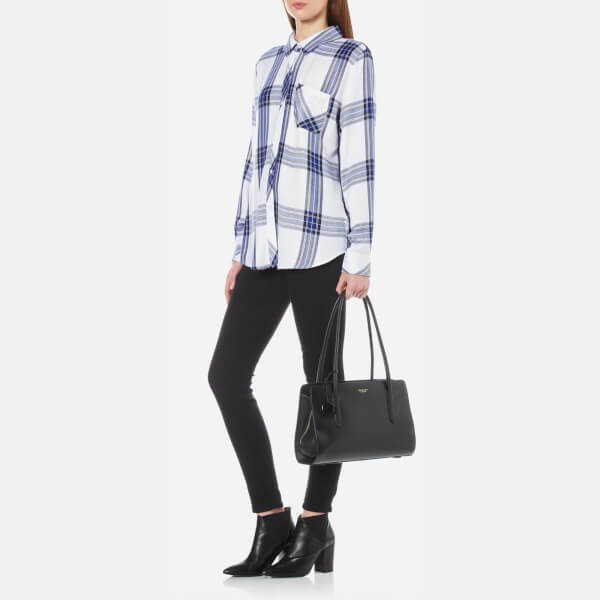 Secured with a zip top closure, the main compartment is fully lined with contrast grosgrain fabric and boasts two slip pockets as well as a secure zipped compartment. 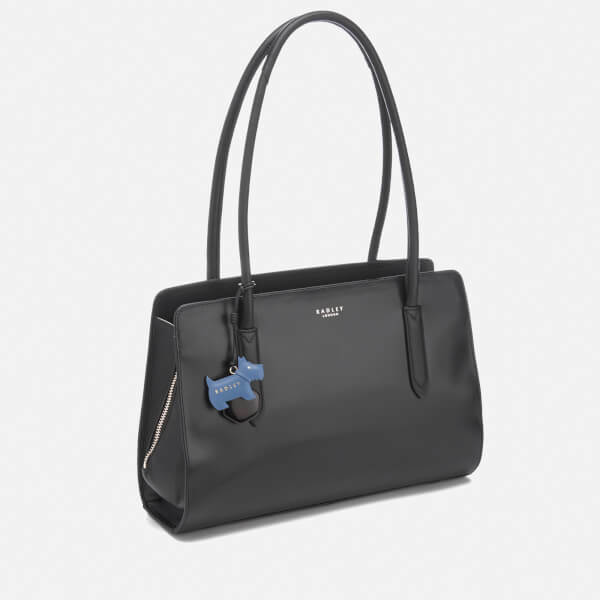 Two full length slip compartments feature to either side of the main section as well as an external slip pocket to the rear for additional storage options. 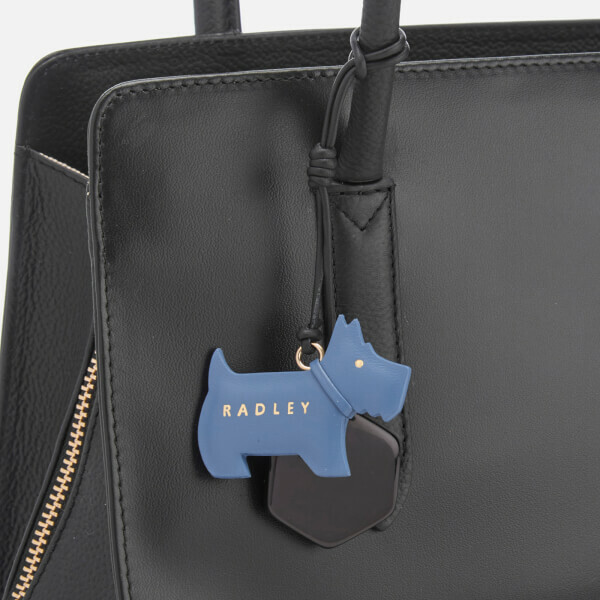 To be carried or worn over the shoulder with the dual rolled top handles, the style is accentuated with gold-toned hardware throughout and the iconic leather dog charm on a detachable lanyard with a glossy geometric token. 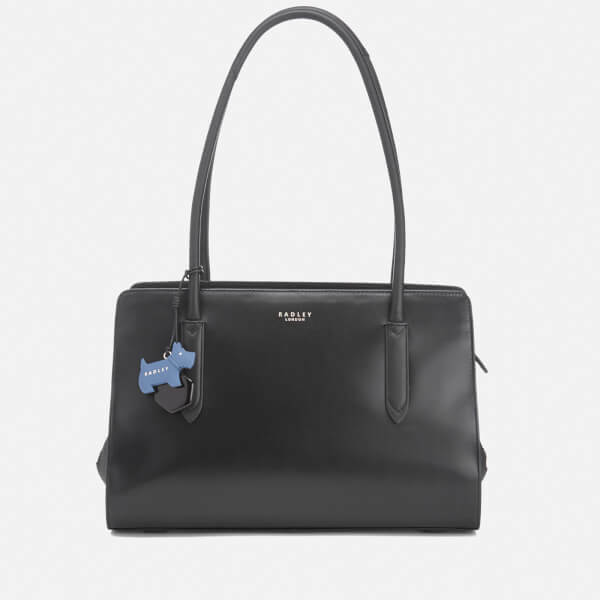 Finished with protective leather feet at the base and signature Radley branding to the front. Dimensions: H: 23cm x W: 33cm x D: 9cm.